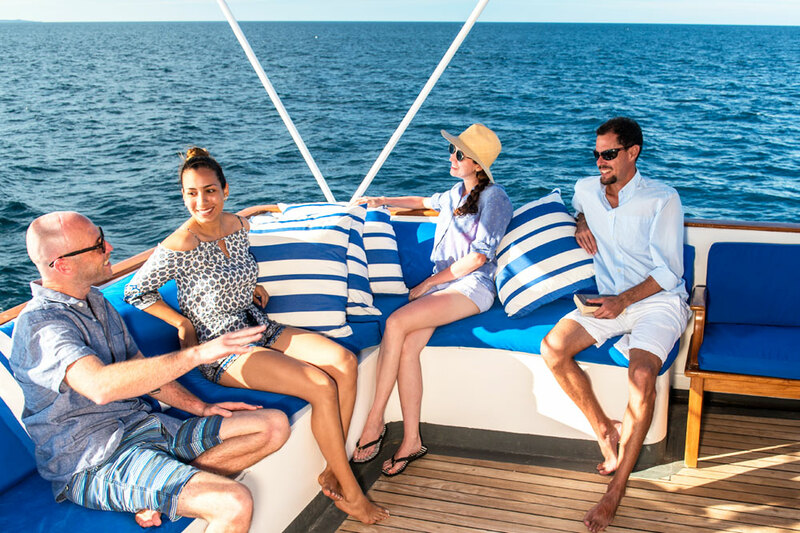 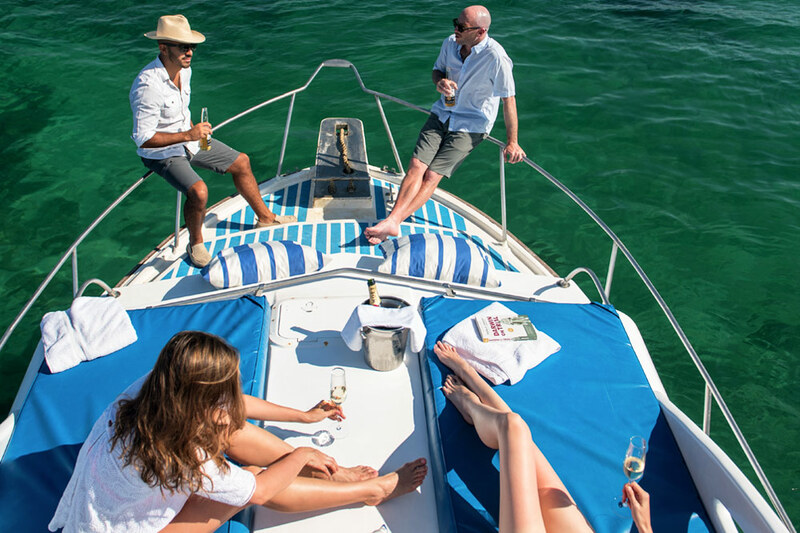 Our exclusive 105 ft Yacht for the most complete and comfortable day tour experience. 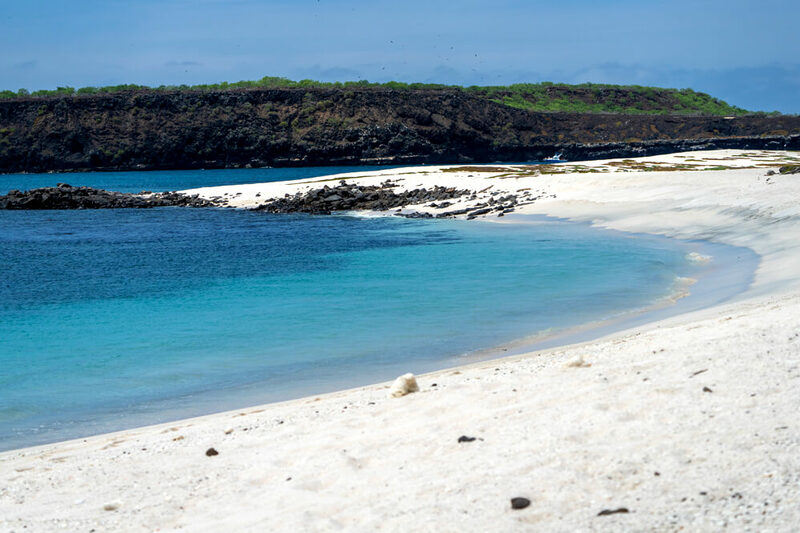 A level of comfort never before achieved in Galapagos. 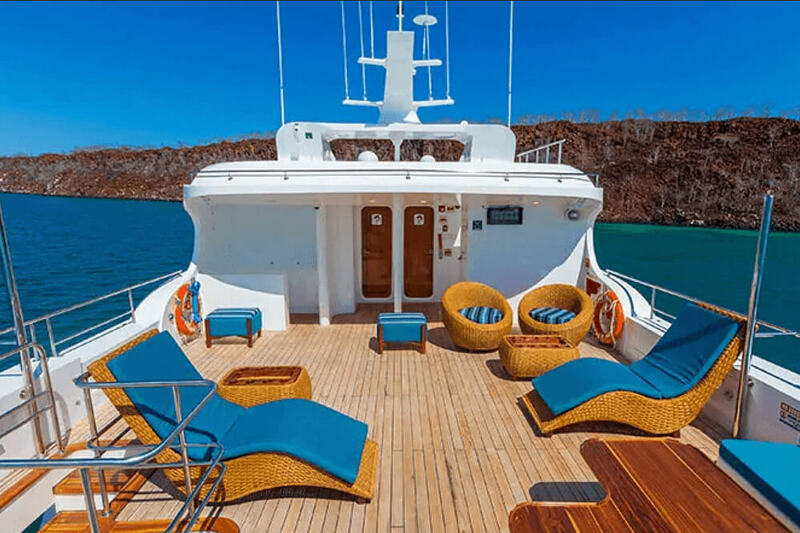 The M/Y Pikaia I is our private 105 ft. oceangoing exploration yacht, a former custom built steel-hull live aboard scuba diving cruiser. 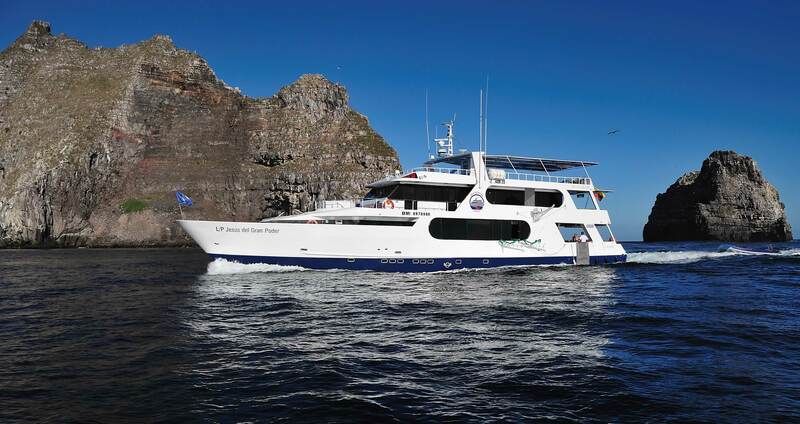 Refitted in October 2015, its large dive-deck has been re-designed for an optimal land and snorkeling day tour operation. 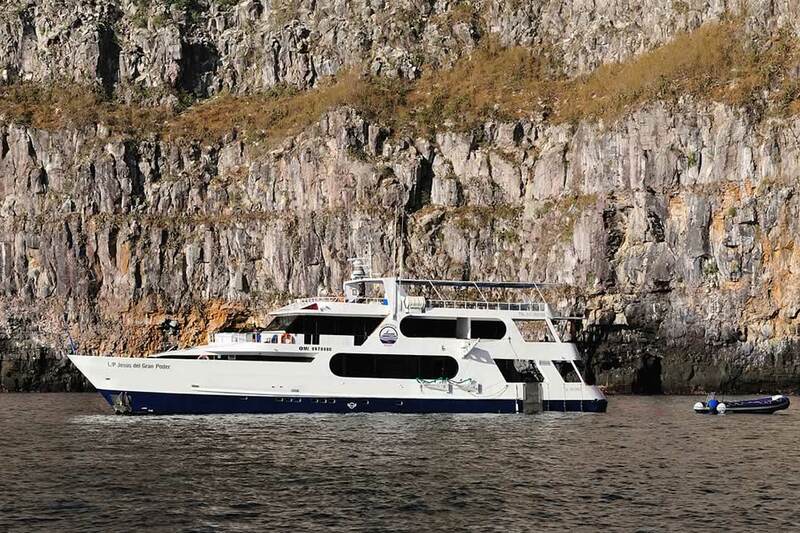 It is the only such vessel in the Galapagos, offering a comfortable, safe and relaxing day tour experience. 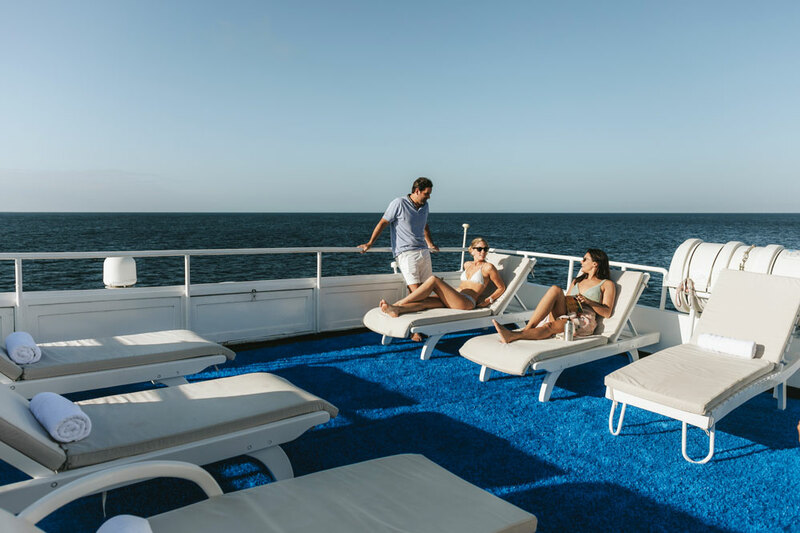 Due to its size, weight and stabilizers, guests can cruise to nearby islands without feeling seasick, as can happen on smaller, lighter day tour boats. 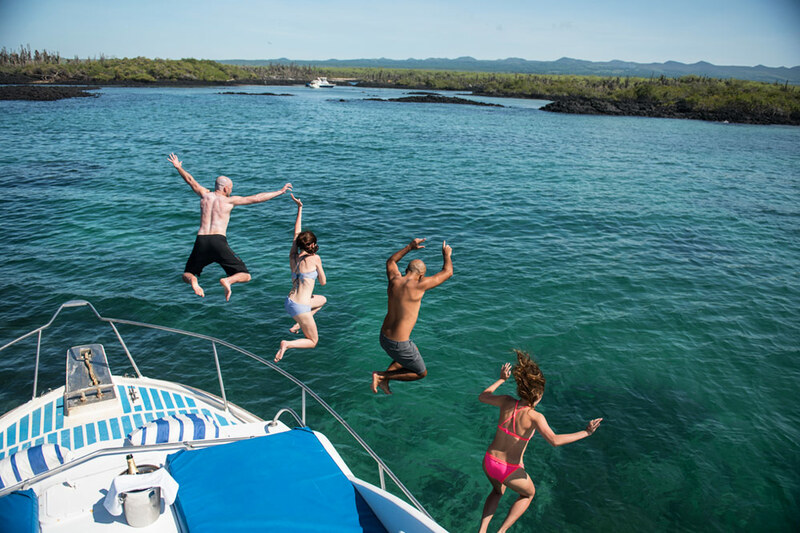 After swimming, hiking or snorkeling, guests can relax in their private air conditioned cabins and take a fresh-water shower in their ensuite bathrooms. 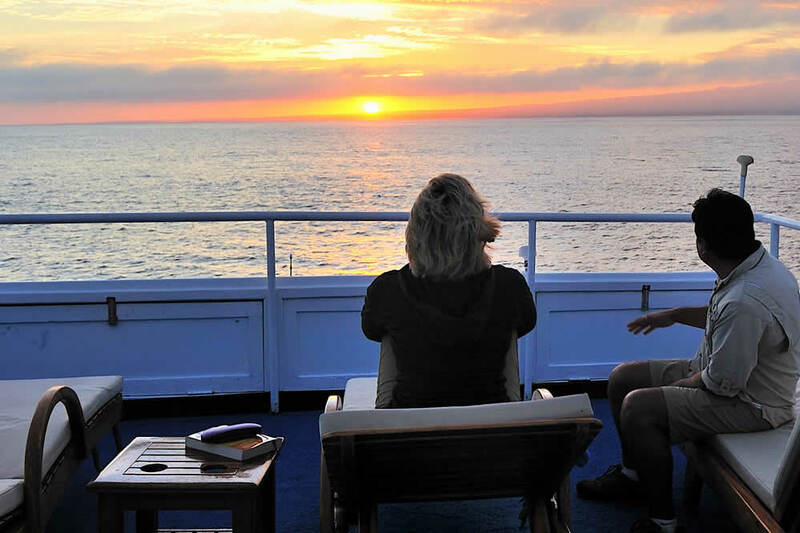 (4) "Master" staterooms (cabins 5, 6,7 and 8) are the upstairs cabins and have 2 single berths or can be made into 1 queen upon request. 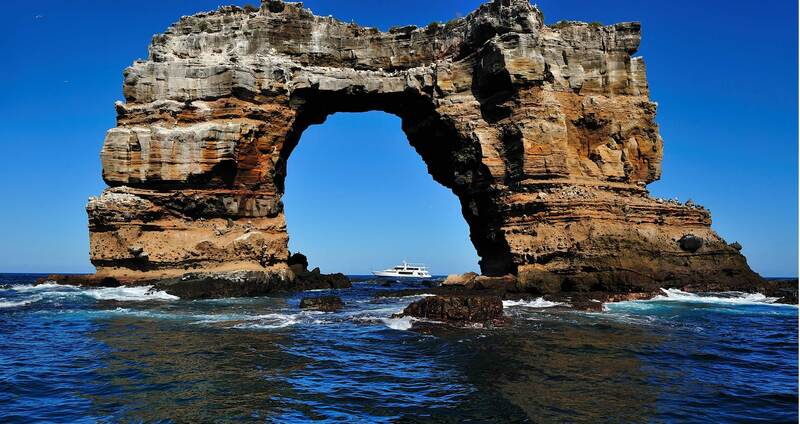 They have a picture window, lavatory, private head and shower. 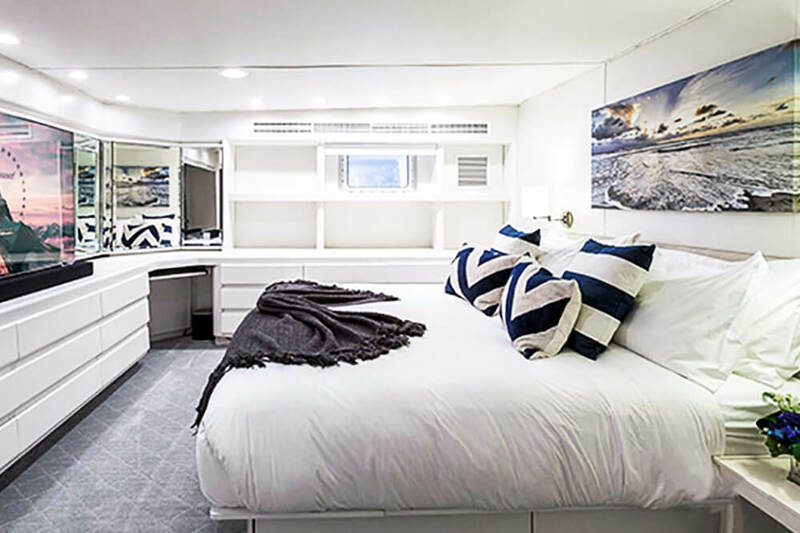 (4) “Deluxe” staterooms with two single berths, lavatory, private head and shower. 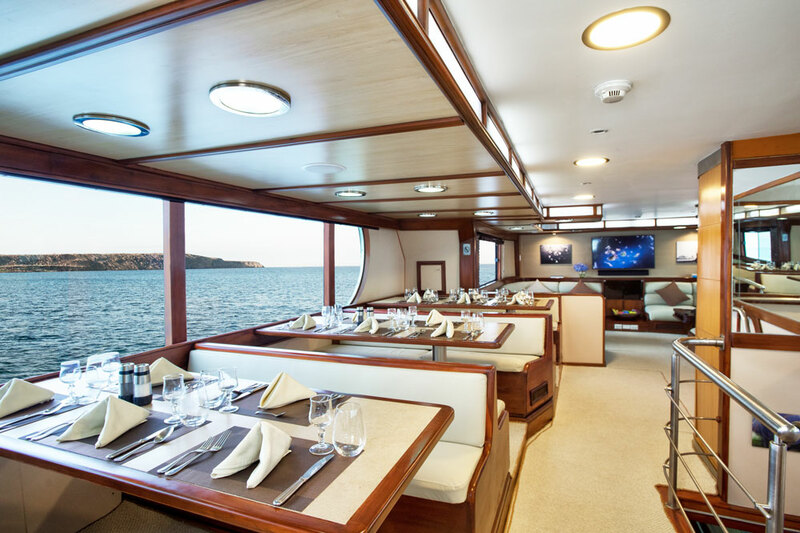 Our crew will prepare and serve breakfasts and lunch buffets while navigating to the next point of visit. 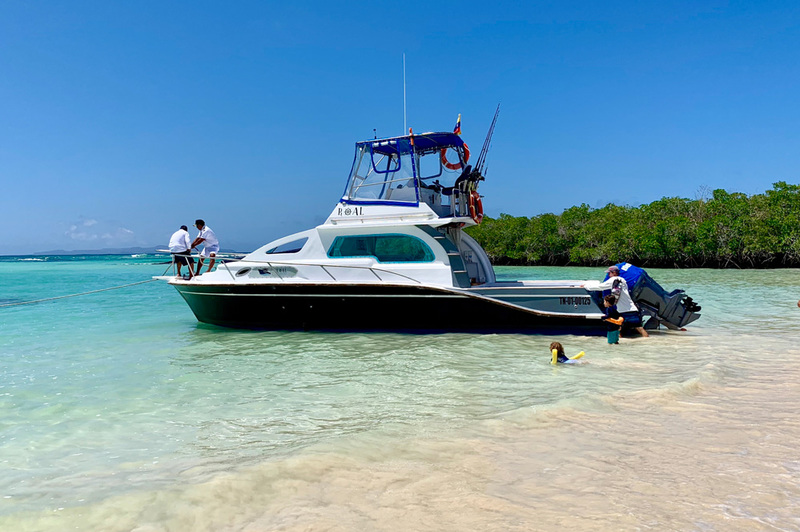 The Pikaia II is our exclusively chartered 35 foot boat, designed to offer a guided coastal fishing and/or snorkeling tour experience around the island of Santa Cruz. 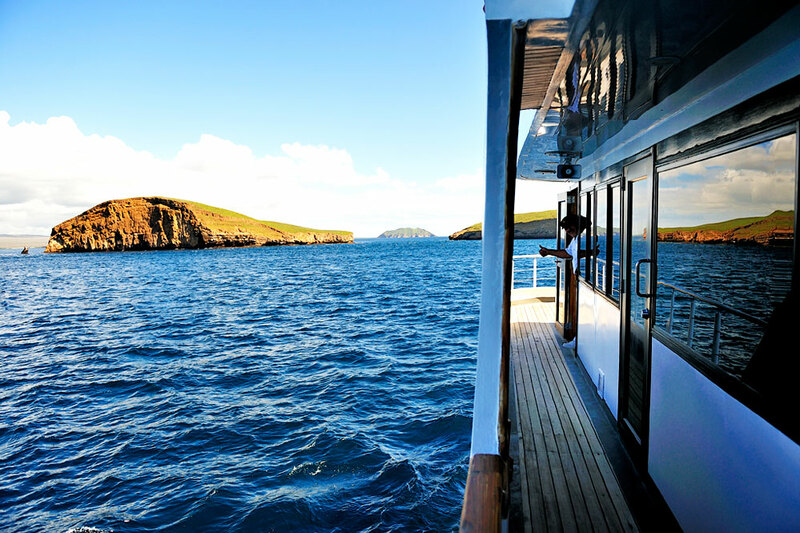 The Pikaia II will take a maximum of eight Pikaia Lodge guests on day tours, where Galapagos fishermen share their traditional fishing techniques. 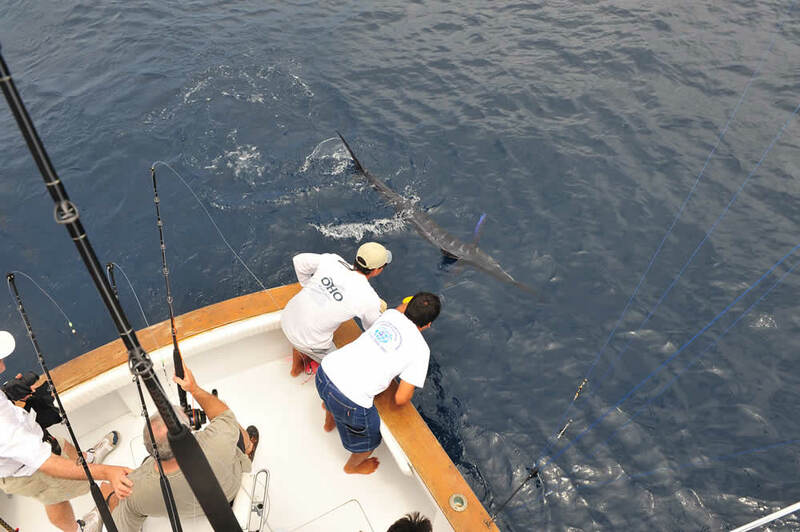 Our guests could have the opportunity to hone their fishing skills using fishing rods. 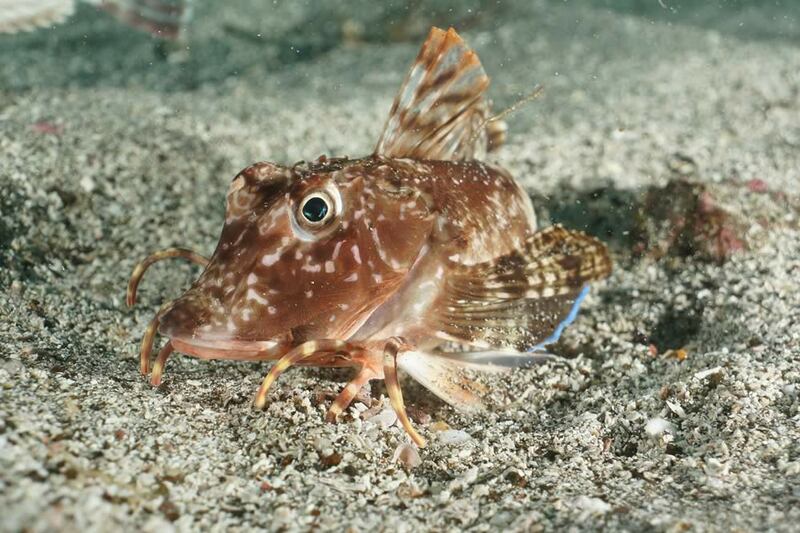 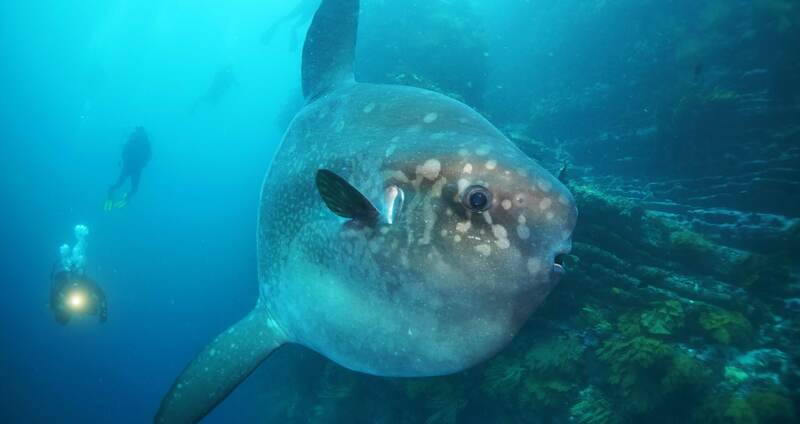 They can catch-and-release, or choose one fish to take back to the Lodge to be freshly prepared by our chefs. 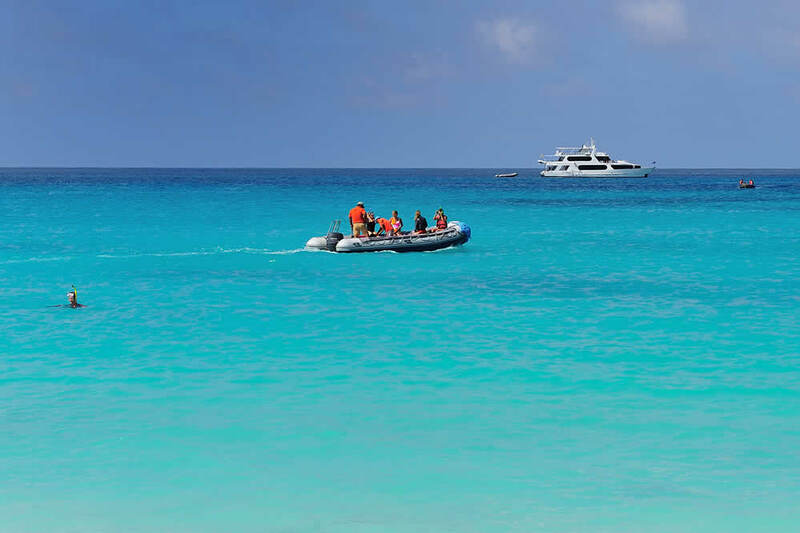 After fishing, guests can swim, snorkel and relax in lagoons and beaches. 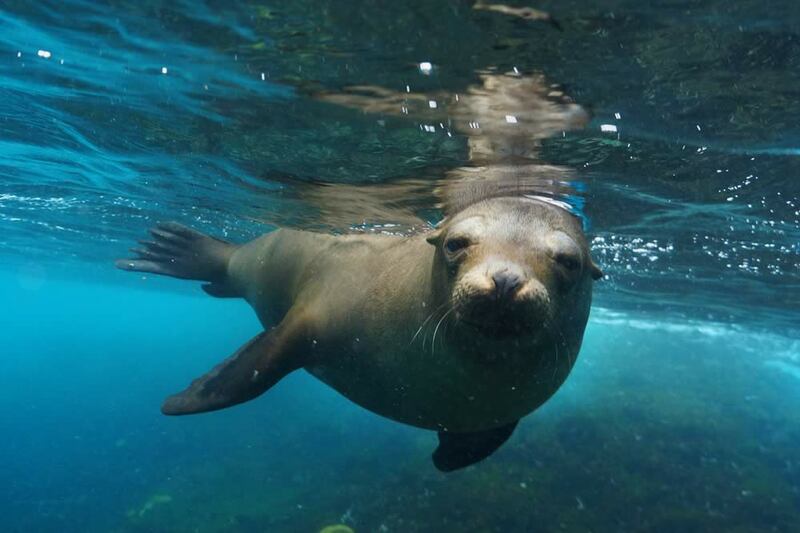 These spectacular and pristine sites are full of marine life, rarely visited by tourists. 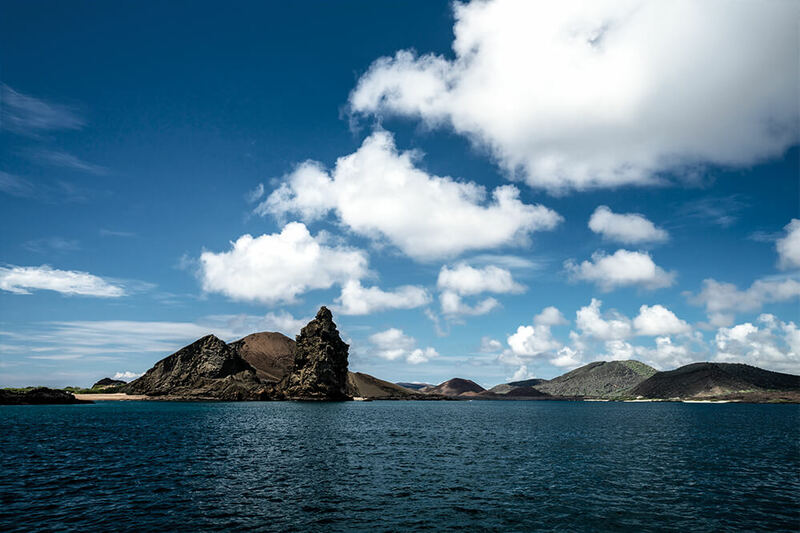 This new fishing-tourism model has been recently approved and promoted by the National Park as a sustainable economic alternative for local fishermen, by incorporating them into eco-tourism. 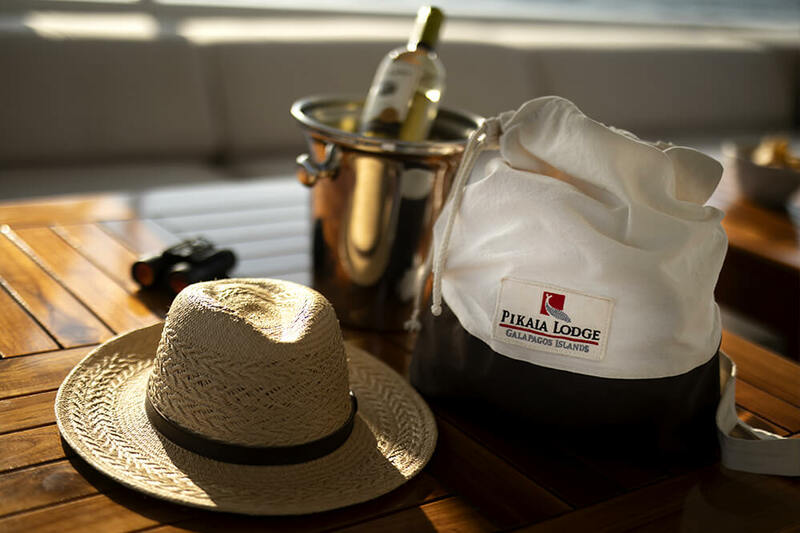 Pikaia Lodge supports this sustainable initiative and has worked with local fishermen to incorporate them into its Santa Cruz Island exploration programs. 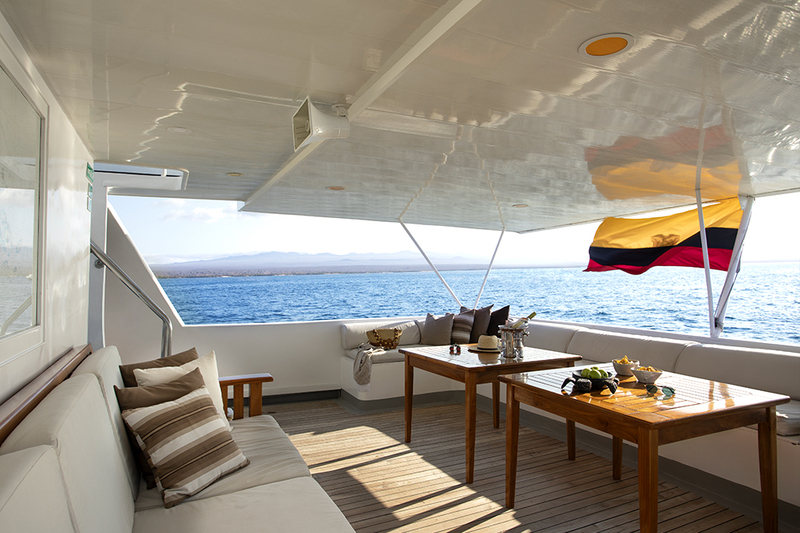 The Pikaia II fishing boat is especially equipped for the comfort and safety of our guests. 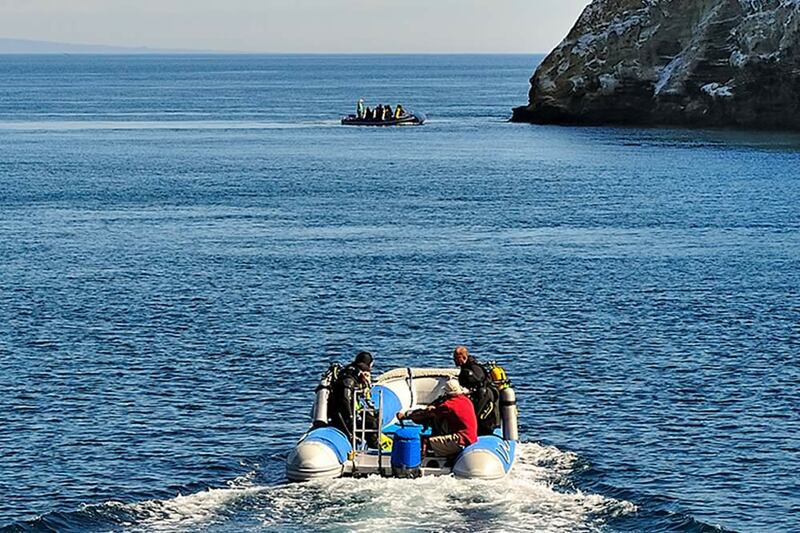 The crew is comprised of local fishermen, whom we have trained to operating to our standards. 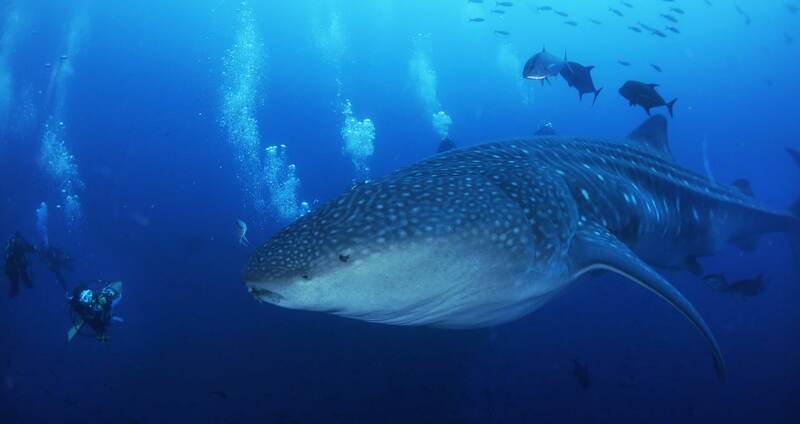 the second largest protected Marine Reserve in the world, a UNESCO World Natural Heritage Site and the greatest protected shark sanctuary in the world's oceans. 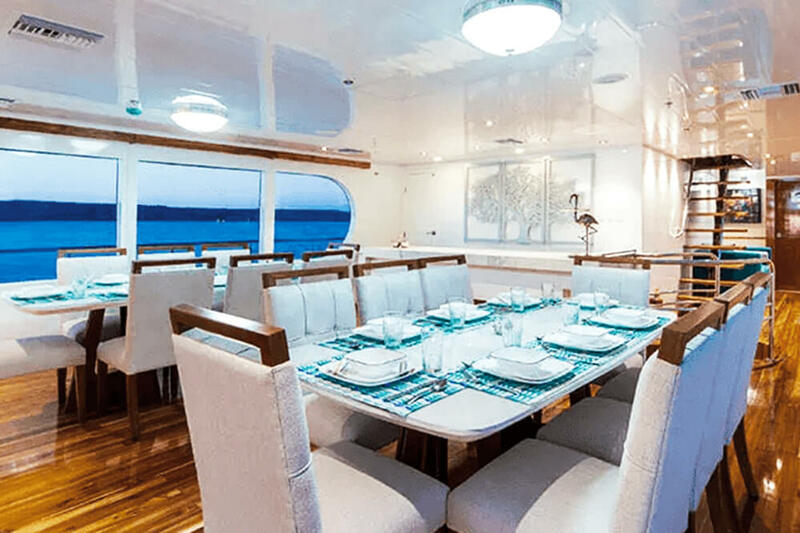 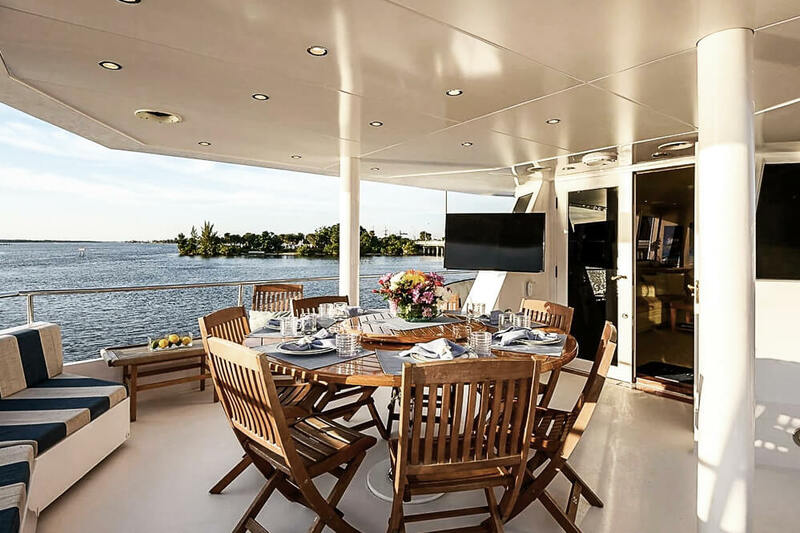 Pikaia Lodge's sleek and luxurious 105-foot oceangoing Galapagos Aggressor III is considered today one of the finest dive yachts in the world. 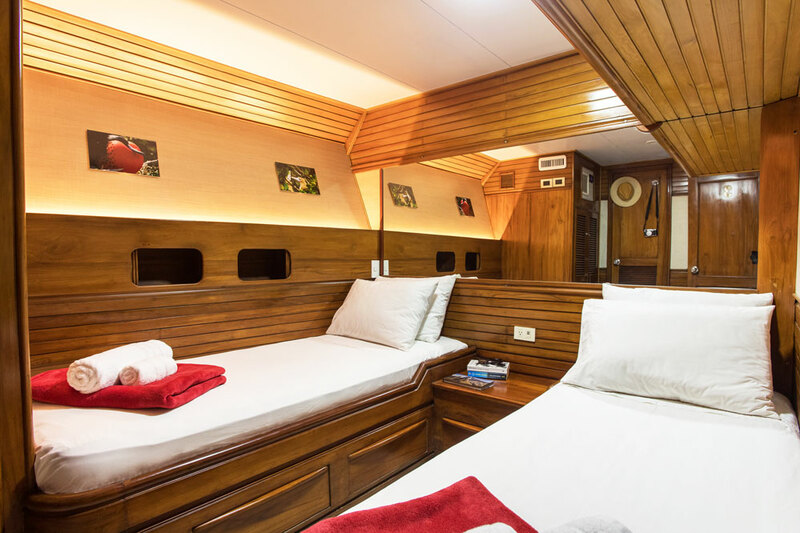 It was custom designed and is constantly renovated and improved with the latest state-of-the-art equipment to deliver the most comfortable, professional and safest liveaboard dive experience to its guests. 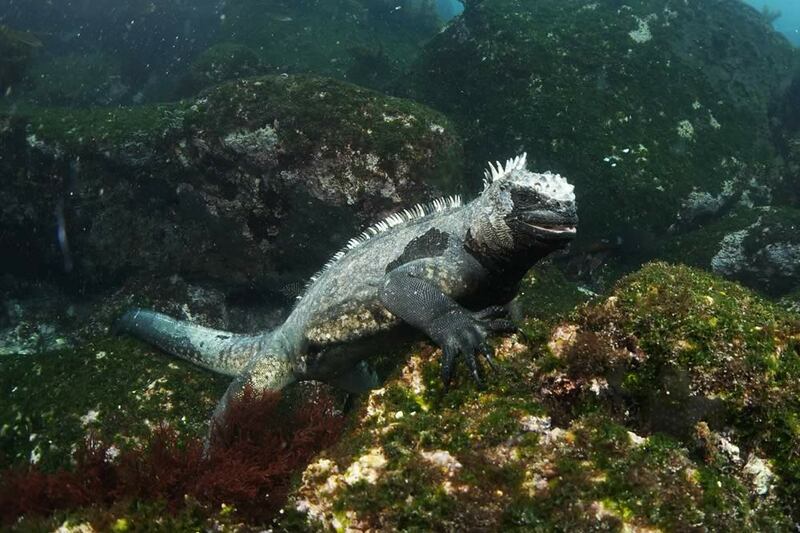 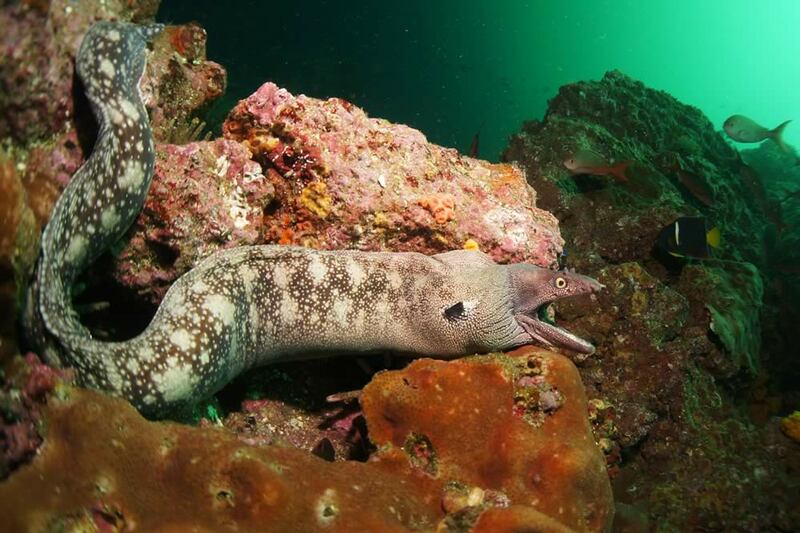 Galapagos offers some of the most challenging and spectacular dive experiences. 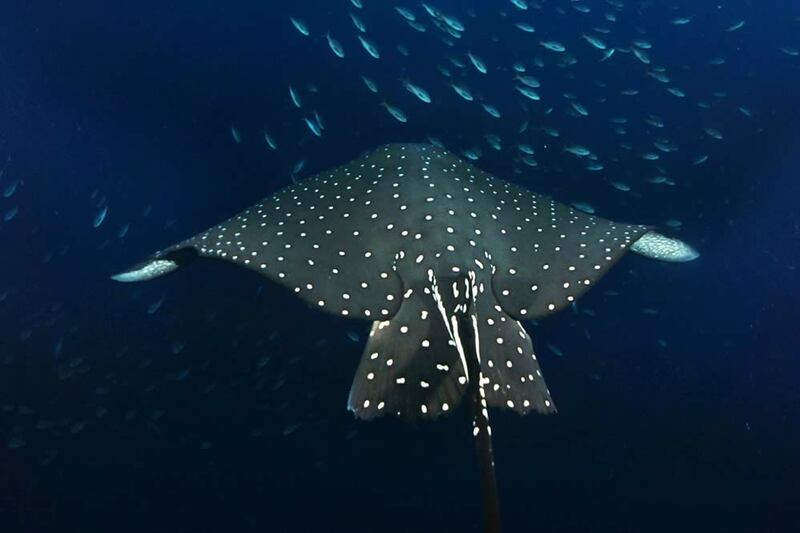 Divers encounter many large pelagic species including whale sharks, schools of hammerhead sharks, sea lions, tuna, dolphins, manta rays, marine iguanas, as well as dense schools of tropical fish and many endemic species found nowhere else in the world. 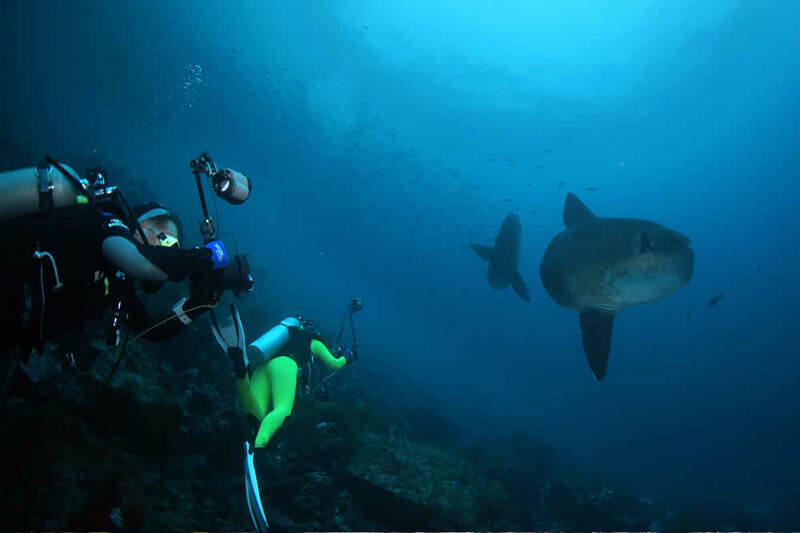 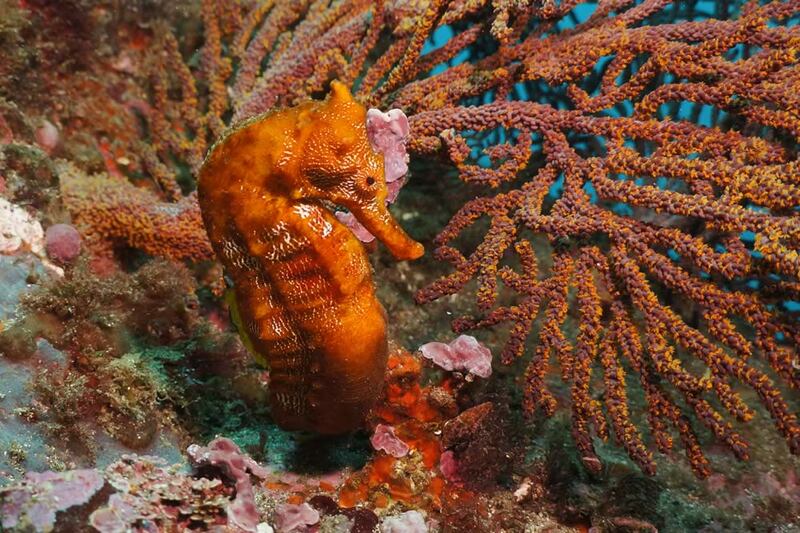 It is the ultimate diver paradise and an underwater photographer’s dream. 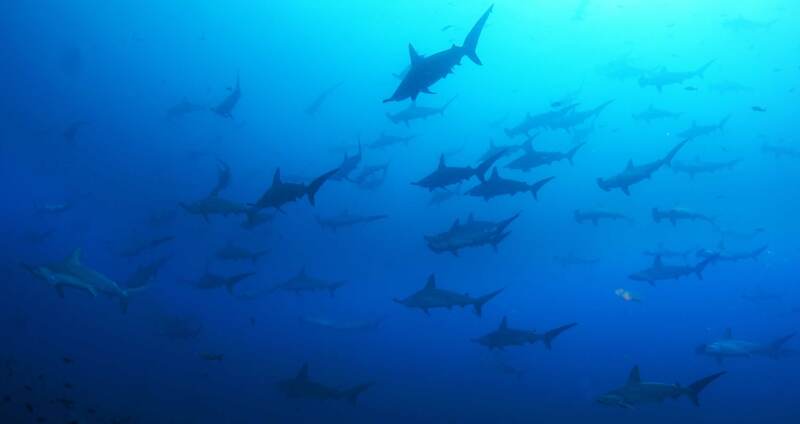 For information and reservations, please go to aggressor.com or Contact Us.